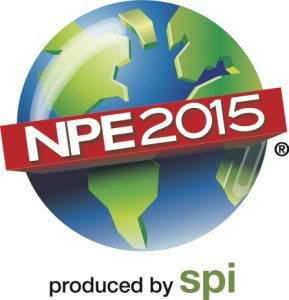 Incorporated in 1968, Jomar celebrates over 45 years as the industry leader in injection blow molding at NPE 2015 in Orlando, Florida. Due to our manufacturing and design process, Jomar has never built an obsolete machine. All machines can receive upgrades to accept new operating systems and other modern technology. This is one of the reasons that Jomar regularly received inquiries from customers about having their existing machines refurbished, despite being over 25 or 30 years old. Some of the exciting developments that will be discussed at NPE will be the availability of the Jomar Hybrid machine. This machine replaces the plastifier and indexing head that is normally driven by hydraulics with electrically-powered motors. This has reduced the machine’s carbon footprint and decreased power consumption by approximately one-third. Already considered an energy-efficient machine due to the advantages of Jomar’s vertical plastifier, the development of the hybrid machine will further improve the Jomar machine’s energy consumption and save customers on utility costs. The Jomar Hybrid machine is expected to be commercially available by the summer and the Jomar sales staff will be taking orders for the machine at NPE 2015. Jomar will also debut a new machine this year. Called the Model 45 while in development, this machine responds to the need for an entry-level IBM machine that has the dependability and ruggedness for which the Jomar machine is known. Visit us at NPE in South Hall Level 1, Booth Number S 28181. Email info@jomarcorp.com with any questions or to schedule an appointment with a Jomar representative at the show.